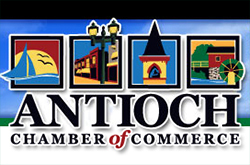 Charming Antioch boasts more than 100 eclectic shops and restaurants. Enjoy browsing and shopping throughout our Historic Downtown District. Discover unexpected treasures in quaint clothing boutiques, art galleries and antiques shops. Sample our upscale eateries, charming pubs, downtown diners, and tempting chocolate shops. Antioch is the gateway to the famous Chain O' Lakes, comprising 11 interconnecting lakes that are home to national fishing tournaments.